Covering more than one million acres including big-name ski resorts and seven wilderness areas, the Wasatch-Cache National Forest is the perfect backdrop for all your recreational activities, located in northern Utah. Park City is located just minutes from Wasatch-Cache National Forest. Take a drive down Big and Little Cottonwood Canyon Scenic Byways. Cross-country ski at Tony Grove – Franklin Basin Recreation Area. Wasatch-Cache NF contains 5 downhill ski areas. Snowmobile on 220 miles of groomed trails. Fish, boat and camp at Pineview Reservoir. 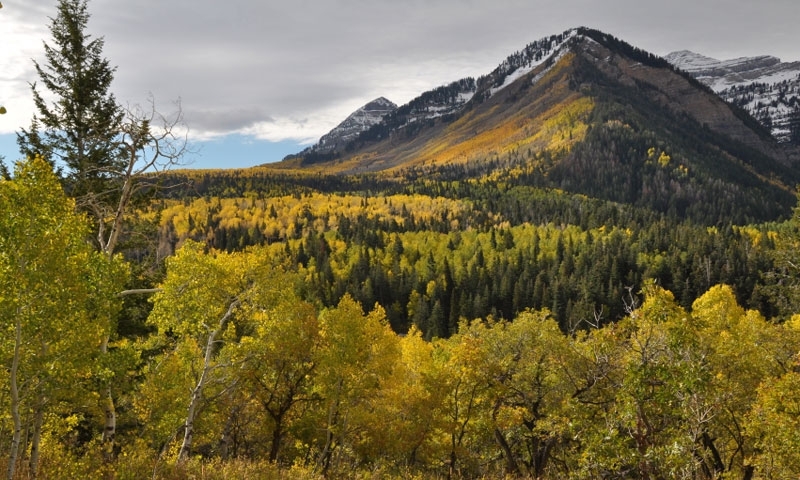 The Wasatch-Cache portion of Uinta-Wasatch-Cache National Forest covers three main geographic areas in northern Utah – the Wasatch Front, the northern and western portion of the Uinta Range, and the Great Basin’s Stansbury Range. Encompassed within this 1.2 million acre forest are five major downhill ski resorts, seven wilderness areas, six scenic byways, more than 70 campgrounds, a large reservoir, and hundreds of thousands of acres available for a range of outdoor recreational activities. Wasatch-Cache National Forest covers a large portion of the Uinta Mountains, the Wasatch Front, and the Stansbury Range. Park City is located just minutes from the national forest. Wasatch-Cache National Forest is open for year-round recreation. Use fees and camping fees may apply depending upon the area. Hiking/Backpacking/Horseback Riding – With more than 1,700 miles of trails running through the forest, you’ll have no trouble finding the perfect area to explore on foot or by horse. Camping – 70 developed campgrounds are located within Wasatch-Cache NF including two rental cabins, yurts, and dispersed camping opportunity within the backcountry and wilderness areas. Downhill Skiing/Snowboarding – Big-name ski resorts including Alta, Snowbird, Solitude, Brighton and more are located here. Boating/Fishing – Pineview Reservoir is a great location for boating, fishing, and sunbathing with a two marines, boat ramps and campgrounds. River and backcountry stream fishing are also popular Wasatch-Cache pastimes. Snowshoeing/Cross-country Skiing - 309,000 acres of wilderness area and 700,000 additional acres of non-motorized areas are open for snowshoeing enthusiasts and cross-country skiers. Begin your winter adventures at Tony Grove – Franklin Basin Winter Recreation Area, located in the Logan District. Scenic Drives - See some awe-inspiring scenery on one of six scenic byways. Take the short, 15-mile drive around Bear Lake on the Bear Lake Scenic Byway or enjoy dramatic landscapes in Big and Little Cottonwood Canyon Scenic Byways.